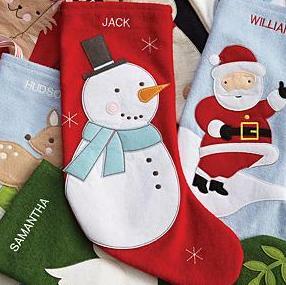 Being Frugal and Making It Work: Find the Perfect Christmas Stockings! Disclaimer: I received a complimentary gift card from Red Envelope for the purpose of writing a review. Regardless, I only recommend products or services I use personally and/or believe will be a good fit for my readers. The views and opinions expressed on this blog are purely my own. Results may vary. No monetary compensation was received. I love Red Envelope and those stockings are so cute! Oh my goodness, those are too cute! I love the snowman stocking. We don't hang ours, but lay them in front of the tree on Christmas morning. I don't have anywhere to hasn't stockings in this house, so last year I bought fancy bags to sit on the lip of the piano. I love Red Envelope! We hang our stockings on our mantle. I buy those little stocking holders and they are everywhere lol. I LOVE Red Envelope! That santa one is adorable. I love RedEnvelope! We actually just bought a stocking holder or ours! Red Envelope always has such unique items! Red Envelope is a great place to shop for Christmas stuff! I LOVE Red Envelope! We have a catalog sitting on our coffee table now with a million page markers in it - we'll end up buying a bunch of our gifts there this year!